Note: The Jordan Valley Pathway has been re-routed around a wetland area. A map of the new trail can be downloaded from this page. 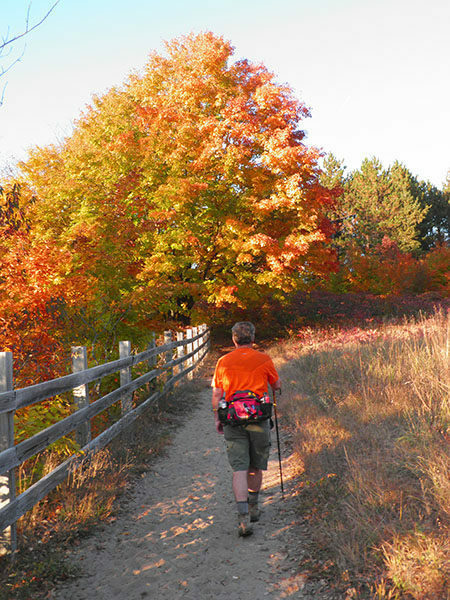 You can read about the re-route in a Trail Talk blog by Jim DuFresne. 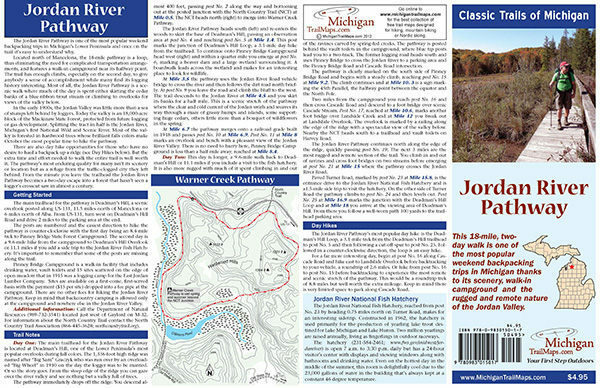 To order a Jordan Valle Pathway Map Guide with the re-route map click on our eshop.The Jordan Valle Pathway is one of the most popular weekend backpacking trips in Michigans Lower Peninsula and once on the trail its easy to understand why.Located north of Mancelona, this 19-mile trek is a loop, eliminating complicated transportation arrangements, and features a walk-in campground near its halfway point. Note: The Jordan Valley Pathway has been re-routed around a wetland area. A map of the new trail can be downloaded from this page. You can read about the re-route in a Trail Talk blog by Jim DuFresne. 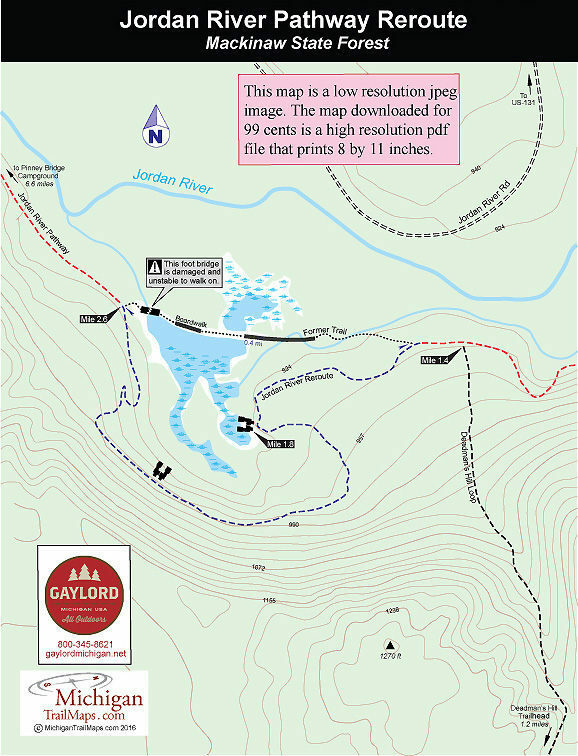 To order a Jordan Valley Pathway Map & Guide with the re-route map click on our eshop. 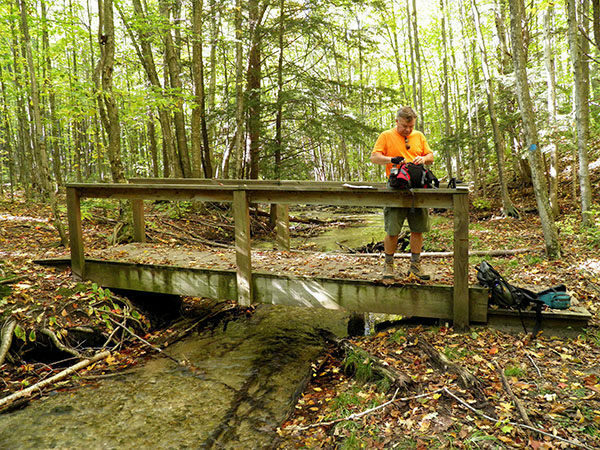 The Jordan Valley Pathway is one of the most popular weekend backpacking trips in Michigan’s Lower Peninsula and once on the trail it’s easy to understand why. Located north of Mancelona, this 18.8-mile trek is a loop, eliminating complicated transportation arrangements, and features a walk-in campground near its halfway point. The fact that it is a two-day walk makes it an ideal weekend outing for backpackers from southern Michigan. It has enough climbs, especially on the second day, to give anybody a sense of accomplishment while many find its logging history an interesting aspect of the hike. Most of all, the Jordan Valley Pathway is a scenic walk where much of the day is spent either skirting the cedar banks of blue-ribbon trout stream or climbing to overlooks for views of the valley below. The Jordan River Valley is an 18,000-acre block of the Mackinaw State Forest, protected from future logging or gas development. Most of it is centered around the Jordan River, Michigan's first National Wild and Scenic River and a popular destination for anglers fishing for brook trout. The area was heavily logged in the early 1900s with lumberjacks leaving behind their telltale trademark, a sea of stumps. But since then the forest has recovered and now is proposed as an old growth forest area. The tract’s best wildlife viewing opportunities are for beavers, raccoons, mink, otters, herons, and waterfowl seen along the river corridor. Most of the land is forested in hardwoods, home to many species of woodland songbirds and raptors. The other wildlife you’ll encounter are insects. Because of the low, wet nature of the Jordan River, spring flooding is common and black flies, deer flies, and mosquitoes can be extremely numerous in spring and early summer. On the other hand fall colors are spectacular in early October, a great time to hike the pathway. Part of this pathway doubles up as the North Country Trail. The NCT follows 11.2 miles of the pathway, mostly along the river. This section of the NCT begins at the Warner Creek Pathway, along M-32, and then splits off to join the Jordan Valley Pathway to the south. The Warner Creek trailhead could be an alternative starting point from the traditional one at Deadman’s Hill that is described here. Keep in mind that backcountry camping is not allowed along either pathway, only at the walk-in campground at Pinney Bridge. It’s also good to remember that the Jordan Valley Pathway is not an easy trek. You must be prepared to haul a backpack almost 10 miles each day and are constantly climbing in and out of the valley. If you include a side trip to visit to the Jordan River Fish Hatchery, which many hikers do, then it's almost a 20-mile hike. This one, however, is well worth the sore knees afterwards. Click here to order a detailed map and a guide to the Jordan Valley Pathway. area 1.8 miles from the Deadman’s Hill Trailhead. Bridge Campground is now a 9.2-mile hike. A map of the new reroute trail is posted on this page and available as a downloadable pdf file. 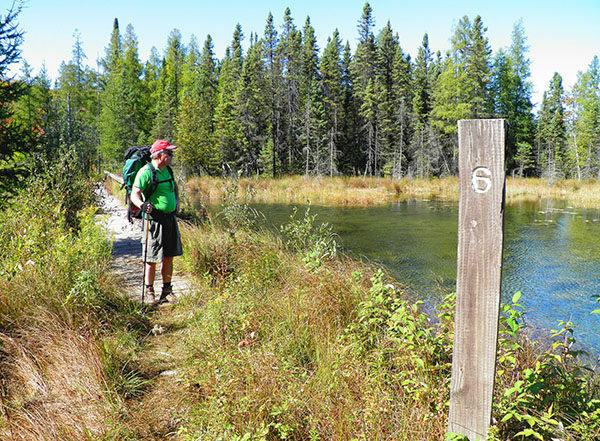 You can also read about the new-route trail in a Trail Talk blog by Jim DuFresne. 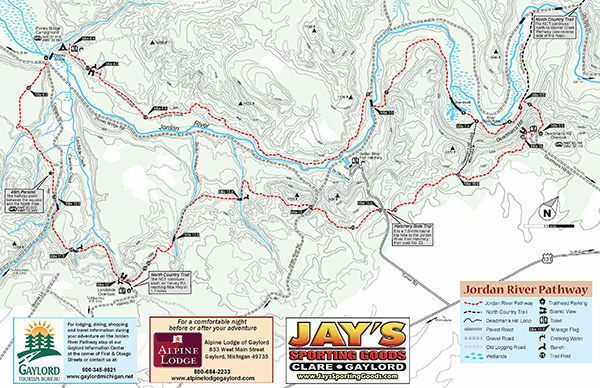 Backpacking equipment can be obtained at Jay's Sporting Goods (989-705-1339), located at 150 Dale Dr in Gaylord. Lodging for the night before or after the trek there's Alpine Lodge (800-684-2233) at 833 West Main St. in Gaylord. A Michigan State Park passport is required for hiking the Jordan River Pathway. 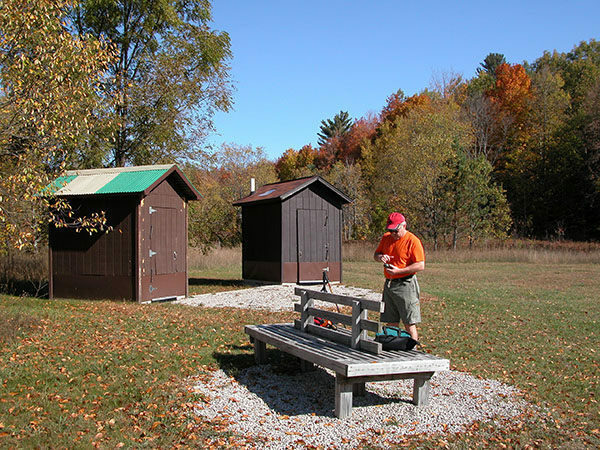 Sites at the Pinney Bridge State Forest Campground, a walk-in facility, are $13 a night and can not be reserved in advance. The main trailhead for the Jordan River Pathway is Deadman’s Hill, a scenic overlook posted along US-131, 11.5 miles north of Mancelona or 6 miles north of Alba. From US-131, turn west on Deadman’s Hill Road and drive 2 miles to the parking area and trailhead at the end. If driving north on I-75, depart at exit 282 and head west of Gaylord on M-32. Contact the Gaylord Area Tourism Bureau (800-345-8621; www.gaylordmichigan.net) or the DNR regional headquarters (989-732-3541) in Gaylord.